A Viking’s skin nailed to a door? 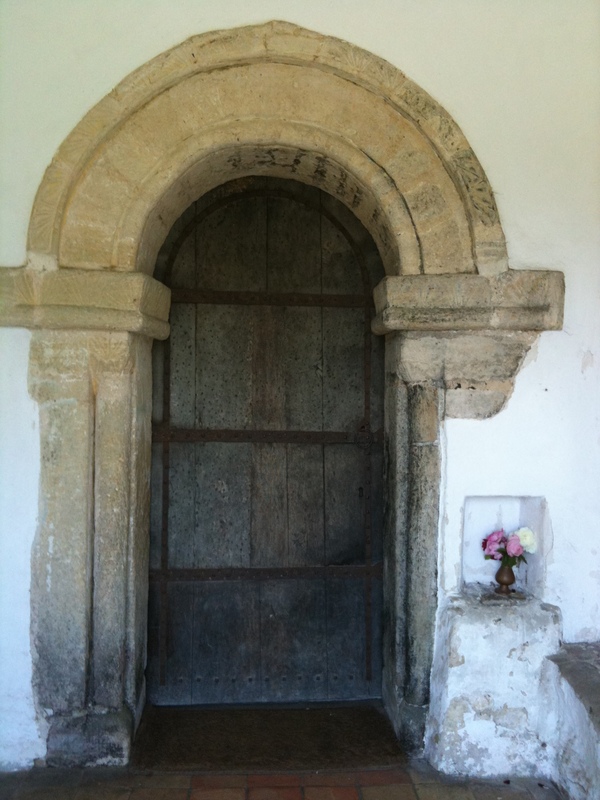 Hadstock Church door - a dark story or something less sinister? In my travels across this land, one of the many privileges I enjoy is the ability to dip into local stories and legends – none more so than that of Hadstock in Essex. For those unaware of North West Essex, it is surely one of the most beautiful areas in the kingdom, where small woodlands give way to delicate views over ancient field systems. Country lanes and roads wind themselves through the landscape like eels in a river and, here and there an ancient village reveals itself. One such place is Hadstock. It was here, at this church, that a strange legend has grown up of a Viking who was flayed alive and his skin nailed to the door as a warning against future invasions. Indeed, this very flesh ended up in the museum at Saffron Walden, a nearby market town, where for many years it has resided in the museum there. Local legend lives on through the centuries, its tale to tell, so what is the truth of the matter? I can now reveal, as news readers are so fond of saying, that on Saint Brice’s Day 1002 – over a thousand years ago in your time, dear reader, if not in mine – King Ethelred , fearful of an attempt to assassinate him, ordered the mass killing of Danes. I can also reveal that the door did indeed have a leather covering. 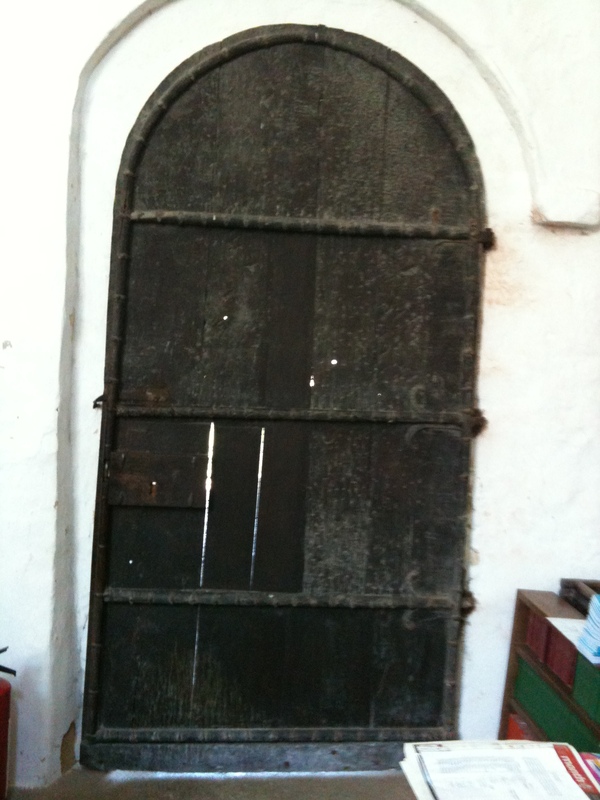 Thirdly, it is also true that this door – if not the church – is the oldest in the county. The evidence certainly appears convincing. However, illogical syllogisms – and the finest local legends – oft comprise unrelated facts and so, in this case, it proves to be. I do indeed remember this church door well from my first visit and while leather was certainly present, this was not an unusual occurrence; such material occurs on other church doors as far afield as Rochester, Copford and even Westminster Abbey. At no time in my memory did the covering look anything like the flesh of a human. How could I, a mere knight, know such a thing? Reader, it pains me to say that in my travels through the centuries, I have seen many brutal acts – not least the disgraceful flaying alive of Bertrand de Gurdon (although someone there called him Pierre Basile) at Chalus-Chabrol following the death of Richard Coeur de Lion – and I know a flayed skin when I see one. I can, therefore, confirm that the skin on the door at Hadstock was not, and never has been, human – most likely it was that of an ox or a cow. Of course, it is always makes good reading when a story contains gruesome details but, as a Knight of the Round Table I am duty bound to put honour and virtue above all things and I have looked into the matter further. I can tell you that not so long ago, Alan Cooper, a DNA expert from Oxford University, also looked into the matter further. His analysis showed that the skin was indeed that of a cow. Sic transit gloria mundi we must say; how sad it is that the magic of such a tale can be destroyed by the cold calculation of pure science. But if only they had asked me, I could have told them anyway!